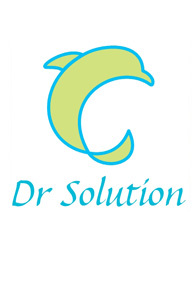 How Did Dr. Duriez Become Dr Solution? When she took a break from Medical School in Paris to take Acting Classes. During her hospital clerkship rotations, she found the conventional academic medical approach to patients, too mechanical, arrogant, and disengaged. She registered in a dramatic art school and took acting classes. Being a kind of "born actress", naturally gifted for comedy, it was fun for Dr. Duriez to make people laugh and feel better. At that time, she even considered dropping Medical School in favor of becoming an Actor. Through an acting classmate, she heard of the “Palo Alto School”, a new school of thought in regards to Psychotherapy. Intriguing. The “Palo Alto School”, composed of independent, internationally recognized clinicians, anthropologists, researchers and authors, had pioneered the study of Human Communication together with the Principles of Problem Formation and Problem Resolution in the Human Affairs. Dr. Duriez read everything from those authors and went back to Medical School knowing she would become one of the few Psychiatrists who embraced the Brief Therapy Approach. To act and make a positive difference in people's real life is more challenging and exciting for Dr. Duriez than to play on a stage. Like in Luigi Pirandello's play “Six Characters in Search of an Author”, the compelling comedy/drama of life is ultimately mysterious, precious and intriguing, has paved the unique way Dr. Duriez offers to help people.